Nice basic clean-faced watch. Very easy to read dial. Band very comfortable. A comfortable leather strap with a buckle closure and stainless steel case with a push/pull crown make this watch by Olivia Pratt a great accessory for any occasion. 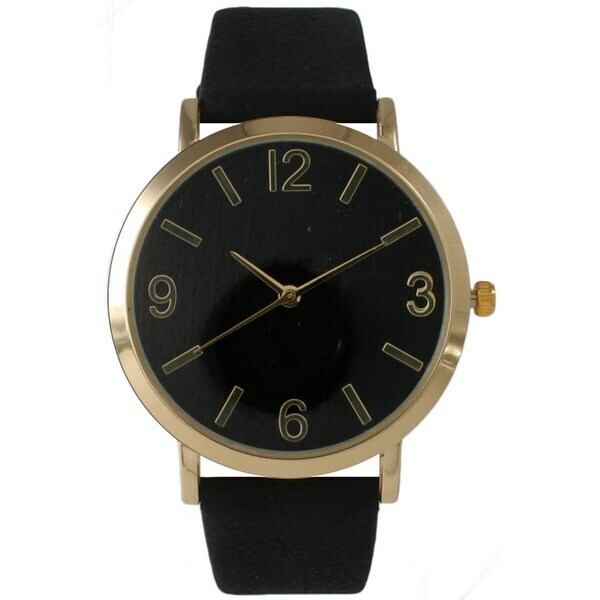 This watch also features a reliable Chinese quartz movement and a classicly inspired design. The Teal is a perfect Teal. I needed a Teal colored watch and this one matched my request perfectly. It enhanced my outfit. I like most about this watch is the actual face. It is large enough to read the numbers but not too large to be distracting. I don't like the band as it has not lived up to my expectations as I have not had it but a few months. It has begun to ravel and one of the two loops has broken. VERY NICE. Exactly what I ex PPP ected.